Altica sp. 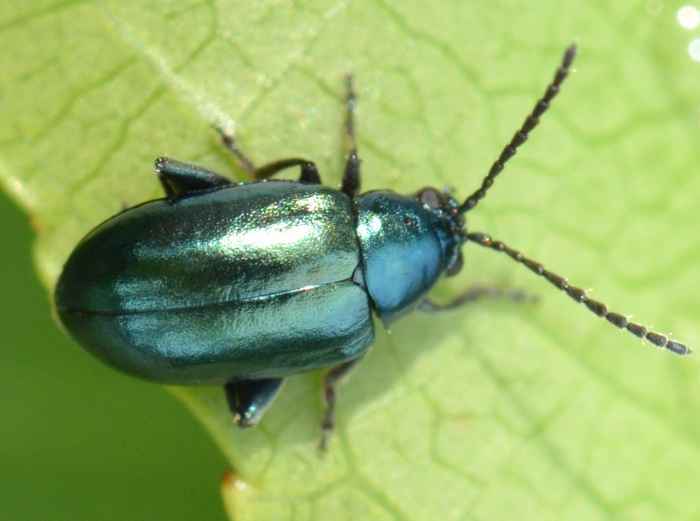 (Shiny Flea Beetle). Size: approx. 5-6 mm. Photo: 05/14/16, 5 pm. 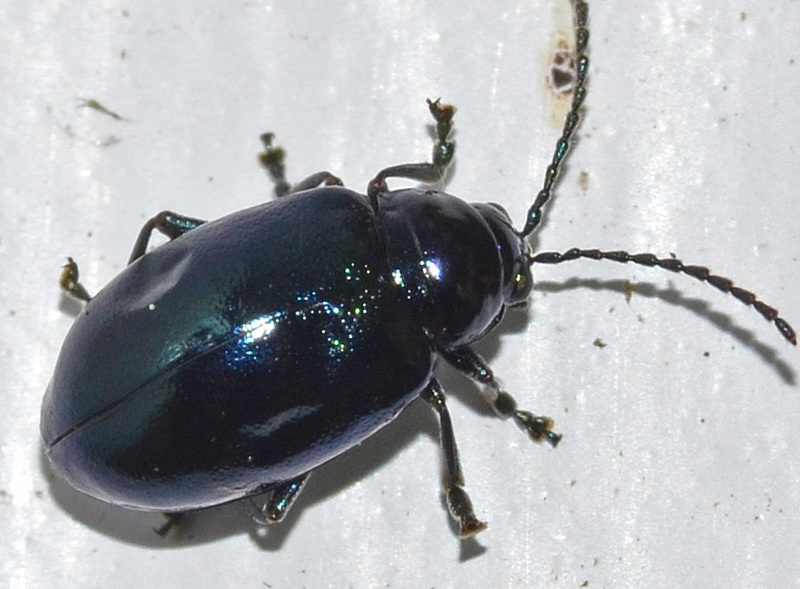 This flea beetle belongs to the genus Altica which has approximately 70 species north of Mexico. Adult beetles can jump away when approached. The small photo is from 09/05/11 (11 am).